good work on the wall. I think Sailor Moon is overpowering the wallie a bit, especially with such a nice background. The back could use a bit more canvas space. In general the wallie is a bit too bright. It's Usagi!!!!!!!! The good old days of watchimg SM. Through, I must say it is very bright. It hurts my eyes a bit. But overall, it is a good wallie. This is another absolutely beautiful wallpaper. I love the approach on this one and the colors are so pretty. Nice job!! Great job on the SM wallpaper. 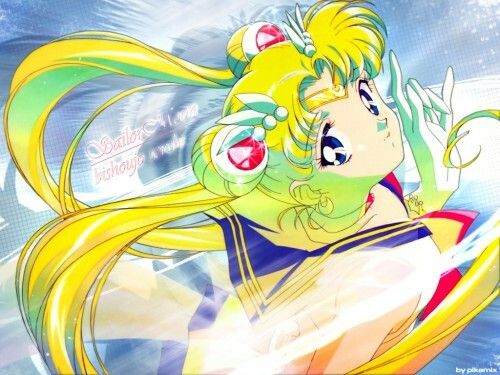 The background and effects for this work well with usagi. Good work.